Velina Tronant married H. P. Top. H. P. Top married Velina Tronant, daughter of Samuel Tronant and Salucia Pierce. Lucy M. Foran married William Perham. Oler Foran married David Bryant. William Perham married Lucy M. Foran, daughter of John Foran and Clara B. Pierce. David Bryant married Oler Foran, daughter of John Foran and Clara B. Pierce. 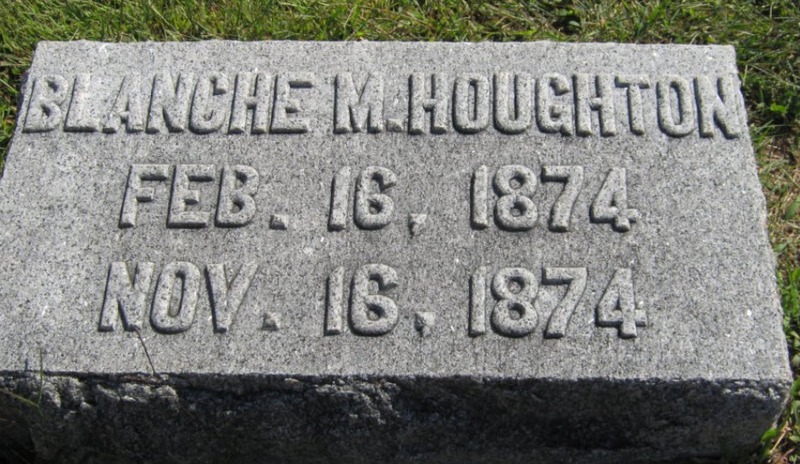 Maude E. Houghton married Charles E. Sills in Aug 8, 1903. Gladys M. Houghton married William May. Charles E. Sills married Maude E. Houghton, daughter of Theron Russell Houghton and Helen Josephine Newman, in Aug 8, 1903. Pearl Newman married Major William F. Hare in Jun 16, 1906. Earl G. Newman married Gertrude Toby Waterhouse in Jun 16, 1908. Albert Leavitt Newman married Kate McMillen in Feb 19, 1908. Major William F. Hare married Pearl Newman, daughter of Albert Augustus Newman and Mary M. Houghton, in Jun 16, 1906. Gertrude Toby Waterhouse married Earl G. Newman, son of Albert Augustus Newman and Mary M. Houghton, in Jun 16, 1908.